The #1 Bridal Show in New Jersey, New York, and Pennsylvania! We Looked at 66 Caterers in Jersey City and Picked the Top 15 - Our goal is to connect people with the best local experts. 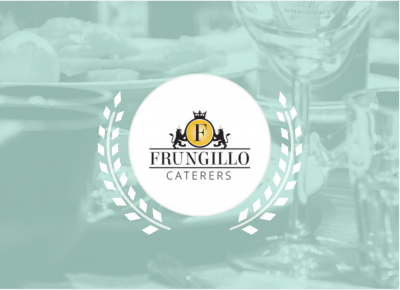 We scored caterers on more than 25 variables across five categories and analyzed the results to give you a hand-picked list of the best caterers in Jersey City, NJ. Frungillo Caterers is happy to announce our newest venue, The Pond at TripleBrook in scenic Blairstown, New Jersey. The Pond at Triplebrook is an elegant yet rustic, open air wedding and special event venue with a modern flair conveniently located in scenic Warren County. With sweeping views of rolling mountains, pastoral fields, and lush gardens, TripleBrook's trademark private pond will surround you and your guests with nature's beauty on your special day. The indoor and outdoor event spaces accommodate up to 200 guests for a seated dinner while offering stunning 360-degree panoramas of our charming vistas. 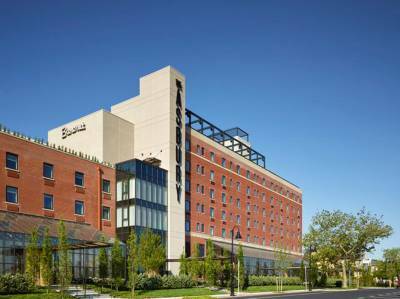 Frungillo Caterers is happy to announce our newest venue, the Asbury Hotel in Asbury Park, New Jersey. The Asbury made its grand debut as New Jersey's most awe-inspiring beachside wedding and special event venue and is only a short walk from the beach. The hotel flawlessly incorporates Asbury Park’s Victorian-esque style with a fresh take on the notoriously rich Rock-and-Roll scene of the area. The trendy up-scale destination features stunning ocean views, elegant reception spaces, and many unique photography opportunities. 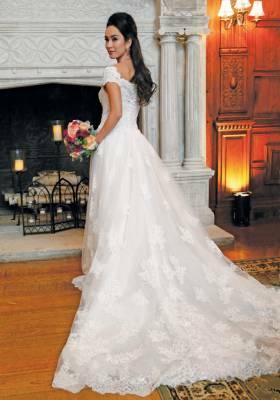 We have the pleasure of seeing the results of the photoshoot conducted at Skylands Manor with the enchanting Daniela W. adorned in the freshest fashions of 2017. The dresses seen in the shoot were supplied by David's Bridal, Eve of Milady and Lucia Rodriguez. Makeup was by Nicole Lyons and the shoes by Bellissima Bridal Shoes. This shoot shows the elegance of the Castle at Skylands Manor mixed with the contemporary, modern fashion of today's bride. Scroll down to view the stunning photographs!